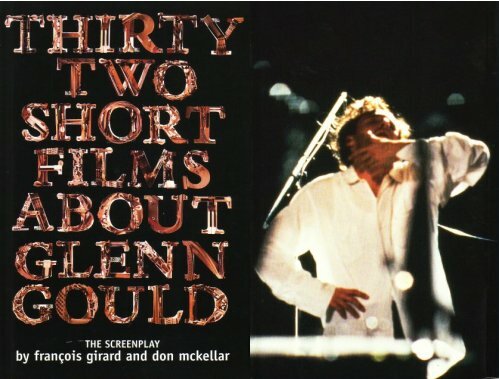 A chance path led to the screenplay of Thirty two short films about Glenn Gould by François Girard and Don McKellar. Reading it caused me to reflect on how towards the end of his career Glenn Gould subscribed to many of the dogmas that are today believed to provide the missing link between classical music and the mass market. He dismissed the concert hall as an outmoded institution, he was one of the first performers to reject the tuxedo, and he was a technology junkie who believed electronic media and not live performance was the future for classical music. Gould certainly achieved mass market success, but this came early in his career with his 1955 recording of the Goldberg Variations and this popularity was unrelated to his later challenges to classical music's many conventions. If he is known at all today by those who constitute the mass market it is as a one man musical freak show. It is only amongst a minority of cognoscenti that he is rightly recognised as a peerless pianist and visionary creative artist. Was George Santayana right when he said "Those who cannot remember the past are condemned to repeat it"? I'm sure you've seen it, but if not, let me recommend Bruno Monsaingeon's documentary GLEN GOULD: HEREAFTER. Wonderful film! Thanks for that Tom. Bruno Monsaingeon actually makes several appearances in Thirty two short films about Glenn Gould. He is interviewed and also leads his quartet in a performance of Gould's opus 1 string quartet. Sometime last year BBC Music, Radio 3's magazine, had a poll of well-known pianists worldwide to name the top twenty pianists of all time. I was a little astounded to see Gould crawling in in the bottom 5. Rachmaninoff was number one; an astoundingly safe choice.